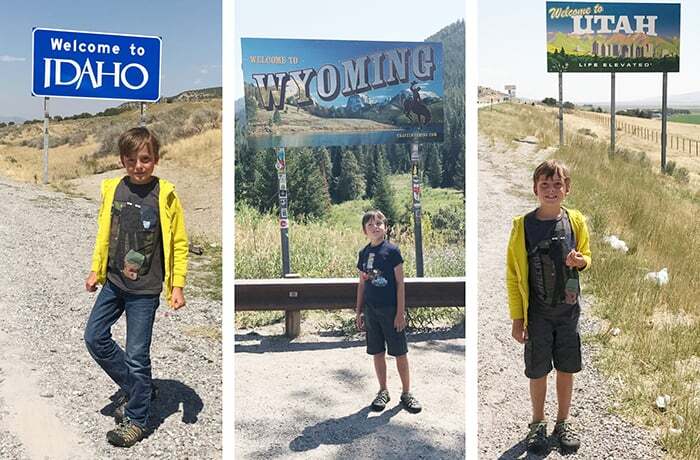 When we were on our eclipse trip in August, we made a little side trip into Wyoming, letting Max check his 15th state off the list… he’s been really into travelling and seeing new places, so it was exciting for him to spend some time compiling the list of states he’s visited, and to brainstorm where else he’s looking forward to going. As we were talking about states and vacations and adventures we hope to take, I got the the idea to get some sort of map to help him commemorate each state that he visits. We have a collection of the state quarters, from before he was born, so this state quarters book doesn’t really make sense for us. My friend Margie, who blogs over at My Springfield Mommy, recommended this awesome scratch-off world map, and I found this Scratch-off US Map which I love. It would fit perfectly in a readily-available 12×18 frame, so that’s definitely on the short list. 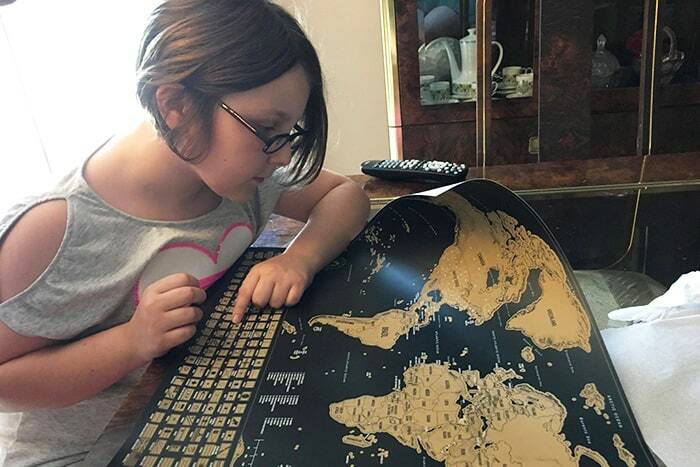 Margie’s daughter, Maris, and her scratch-off world map. Photo used with permission. I was poking around on Etsy and came across this 50-state photo mat, which is my favorite concept, but I’m a little concerned about it’s size. It needs a 24×36 frame, which is fine, but is big for long term planning and finding places to put it. 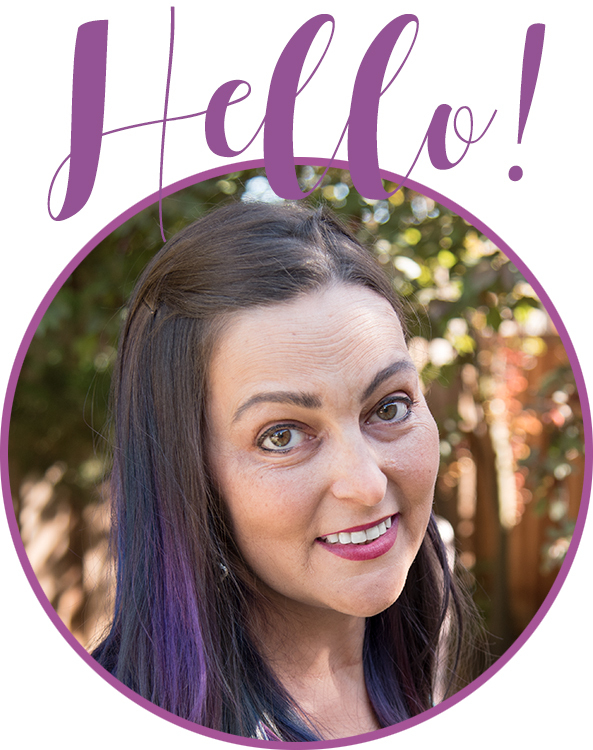 If I go with this one, I’ll fill the unvisited states with patterned scrapbook paper to keep it from looking too sad and boring. As I keep poking around, the ideas start swirling… I could get this set of State SVG shapes and do something custom with cutout vinyl or maybe make iron-on transfers for a 50 states blanket? Or maybe I’ll just find something I can easily buy in tourist destinations across the country, like State magnets or state postcards. I like the idea of collecting license plates too, but that would probably be easier to do online rather than spending a bunch of vacation time looking for license plates lol. 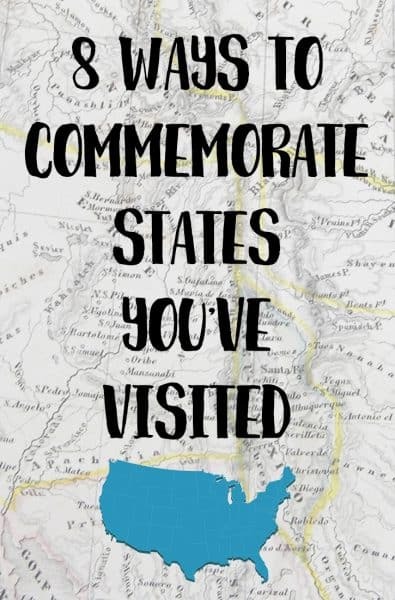 How do you commemorate states you’ve visited? Am I missing any awesome ideas? As an avid vintage fan and thrift hunter, I see thinks like vintage demitasse spoons, state plates (I’ve seen these range in size from saucer-sized to dinner-sized plates), mugs, knick-knacks, and even salt and pepper shakers1 Probably none of those would hold interest for a child, though. My kids used to do those pennies that you put in machines and out comes a freshly smoothed penny with a state or tourist attraction logo on it. Those are small, and can probably be framed fairly easily. We have a large US map that I put in a bulletin board frame. Whenever we visit a baseball stadium (we are on a quest to go to all 30 MLB ballparks) we buy a pin of that stadium. We then poke the pin through the map on the city where the ballpark is located. We have the frame hanging in the boys’ playroom.